Seizing the day and investing in cash flow positive properties opened up doors for an Auckland investor couple. They tell us how property helped them rewrite their future. Few would doubt that successful investing has the potential to change lives. But for some people it takes hitting a low point to push them into braving the risks and embarking on the journey. Anyone looking for evidence of this need look no further than Chris Moore and Dyane Parris, who are profiled in this month’s issue of NZ Property Investor magazine. These days the couple have a portfolio of 22 properties with multiple income streams, which provides them with a generous passive income. But life was not always so good. 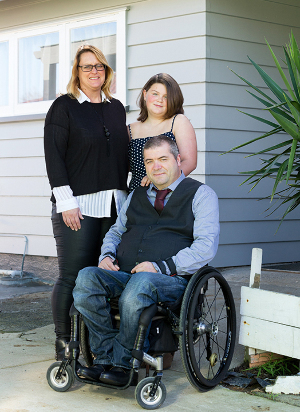 Back in 2007, Chris and Dyane sold off three of their under-performing rental properties and moved to Waihi for a fresh start. They thought they were set up but it all went wrong: Chris got very sick and ended up in hospital for a long time. The couple were left with the unfinished house they were building but had no way to complete, and struggled to make ends meet. “We desperately had to do something on the income front and we were thinking about how we could make money,” Chris says. It was not the first time they had looked to property. But they had been inexperienced investors and had made mistakes. Chris says they were on limited income and all their rentals were negatively geared so it didn’t work out well. The experience left the couple wary and also conscious that there was a lot they didn’t know – yet they still believed property was a vehicle to success. To read how Chris and Dyanne became successful investors, reshaping their lives in the process, and to find out their top investing tips, click here to get the digital issue of NZ Property Investor magazine.